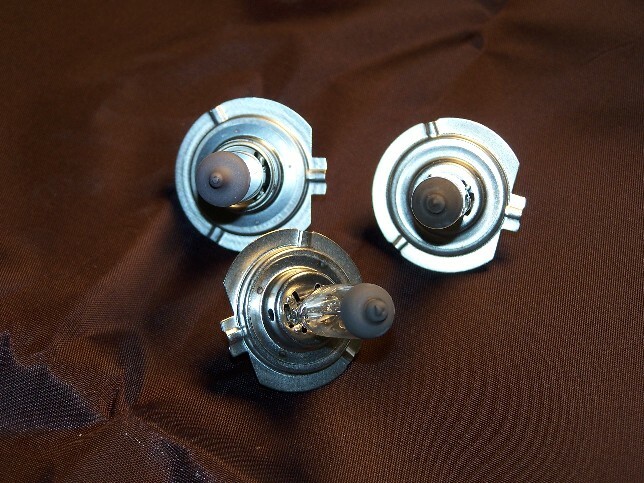 We have tested many different H7 bulbs and have found two that stand out for off road riding. The Osram 65W bulb is very bright and uses a heavier filament that stands up better to the vibrations associated with off road riding. The 70W H7 is similar in brightness to the Osram but has slightly more yellow output and has a standard H7 Filament, which is better than stock but not as reliable as the Osram. Both of these bulbs are for off road use only and should not be used on the road. For lower powered bulbs that are readily available we recommend using either a standard 55W H7 bulb or a Silverstar, both available at your local auto parts store. Test results can be seen here.